What makes a good mystery? The most obvious answer is a good plot line. You want something with twists and turns that keeps you guessing until the very end. What about a cozy mystery though? For me, a cozy mystery needs loveable characters and other feel good elements. 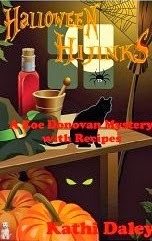 Halloween Hijinks fits the bill for being a great mystery and an even better cozy mystery. 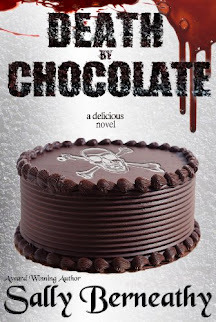 Filled with loveable characters, animals, and drool worthy food, the first book in the Zoe Donovan series does start out a bit slow, but once it gets going, you won't be able to put it down. I loved the main character and the relationship she has with her friends and the new relationship that begins to build throughout the novel. The best part was getting to the end and finding recipes for much of the drool worthy food that was spoken about throughout the book. If you love a good cozy mystery, read this book! Halloween Hijinks is the perfect fall read. I can't wait to read more of the series so that I can find out even more about the loveable characters and hopefully get some more delicious recipes to try.